In-Shelter Nursing Services Program receives $100,800.61! 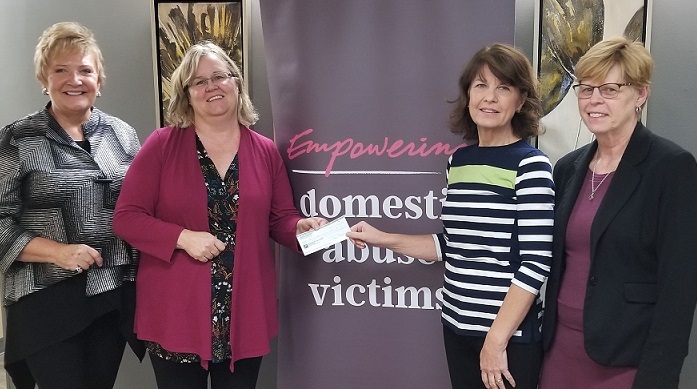 WIN House sends a big THANK YOU to the Chair and Board of Directors of the Victorian Order of Nurses (VON) Edmonton Foundation for their generous gift of $100,800.61! Their donation will go towards supplementing the annual funds needed for the “WIN House In-Shelter Nursing Services Program”. This invaluable program provides WIN House clients and their children with health-related services from our in-house registered nurse. All of us at WIN House appreciate the generosity of the VON Edmonton Foundation now and for all of the years prior to today that you were there for our families.